There are several benefits of giving organic pet foods and those benefits last longer and keep your pet healthy. Foods that are 100% natural are healthier than those with synthetic additives, which cause many problems like cancer. Before getting organic pet foods, you should read all the ingredients to know what you are truly getting. When it comes to organic pet foods, you should look for some specific ingredients and avoid others. For example, if the product contains meat, then make sure that it is chicken or beef or any other by-product or generic meat. Organic foods have more nutritional value and pets eat less organic food when compared to other commercial foods. Organic pet foods don’t contain any bulk-fillers, due to this the pets only eat what they need to maintain healthy energy levels and better body functioning. As the pets eat less, they won’t gain much weight. When comes to nutritious value, organic foods are more rich in nutrition. So, giving your pet with organic foods, they can help it to maintain healthy weight and more energy levels. Even your pet doesn’t have any digestive problems, skin diseases or obesity, organic pet foods are beneficial. Organic foods provide better quality sources of nutritional substances than non organic foods. Also, it is more digestible for pets. 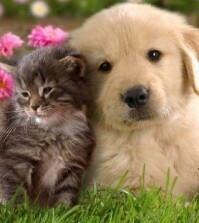 As pets absorb all the nutrients, they can develop a strong immune system thus preventing any illnesses and infections. If your pet has any of the problems like skin conditions such as irritation, itching and allergies, organic foods offer them a great relief from skin those. Organic foods are free of pesticides, artificial colors, chemical additives or flavor enhancers. They have grain sources and quality protein with high nutritional value. This boosts your pet’s immune system to fight from these infections. More proteins and grain sources and lack of artificial substances and chemicals makes the organic pet foods digest easily. If your pet experiences diarrhea, bloating, gas or vomits frequently after the meal, you need to check with a veterinarian for any existing conditions. Give your pet organic foods that contain barley, oats, whole grains, chicken, lamb or human-grade turkey. 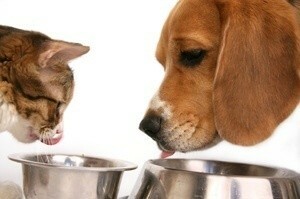 Pets eat less and remove less when they are on organic diet. Ultimately, they will have predictable bowel movements.